Currently sailing in the Caribbean. The first bernifox piece of soundtrack is published – the soundtrack for departure day! We started our journey in Marina di Pisa on September 7, 2018 and are excited about our journey, living on a sailboat with a piano, composing music on the way and exploring this wonderful planet! We, Berni and Stephan, have always had the dream to exchange our daily routine for blue water sailing. The time never seemed to be right for an adventure like this. We are two young people in the middle of our careers and it is never easy to break out. We were talking a lot about this dream and soon we realized that it was on the way to become a plan. And this plan is about to come true soon! On our website, we want to share our experience, our feelings and stories. 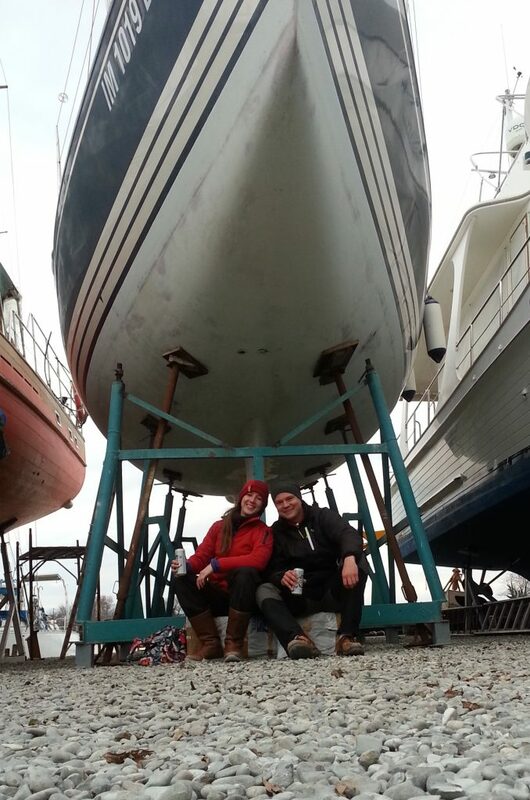 Have a look at our travel blog, pictures and videos about the travel planning, boat refit, sailing highlights and life aboard our swimming home, the SY Johanna! To stay informed about our adventures, you can subscribe to the newsletter. Our journey is not the only project. Berni will create her own journey as a pianist and composer, currently working on our video soundtracks and on her first album to accompany our journey with music. Check it out here. So this is why we are the two adventurers traveling on a boat with a piano on board!